Address: Jl. Soekarno Hatta, Labuan Bajo, Flores, Indonesia. Gardena Hotel is a budget hotel/guesthouse type accommodation in Labuan Bajo. The hotel isn’t bookable online and there isn’t a contact form on their site (www.gardenaflores.com) so I called them to reserve. When I arrived my name wasn’t listed (Ahh Indonesia!) Fortunately there was a room available. The hotel is on the main street of Labuan Bajo (Jl. Soekarno Hatta). Their website doesn’t list an address but if you tell the taxi from the airport the hotel they should know where it is. If you are looking online on Google Maps it is next to MadeInItaly Italian Restaurant. The rooms are separate bungalows that are built onto a hill that overlooks the harbour. 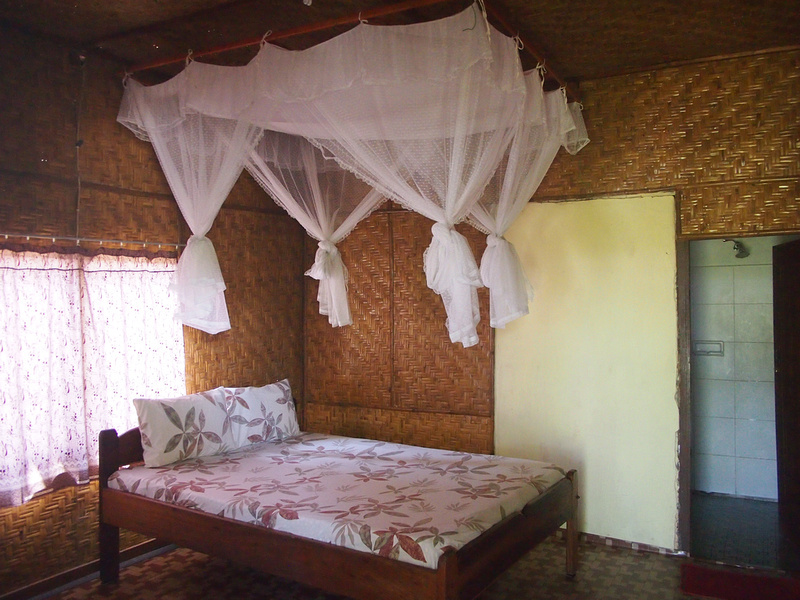 The bungalow I got was a double bedroom with fan. Once you start travelling around Indonesia outside of Bali you will need to start getting used to squat toilets and water-tank-and-bucket baths. In this case I had a shower (cold) in my bathroom. There was no wifi at the hotel either. There is wifi at the Italian restaurant next door, otherwise you will need to go to another restaurant in town. 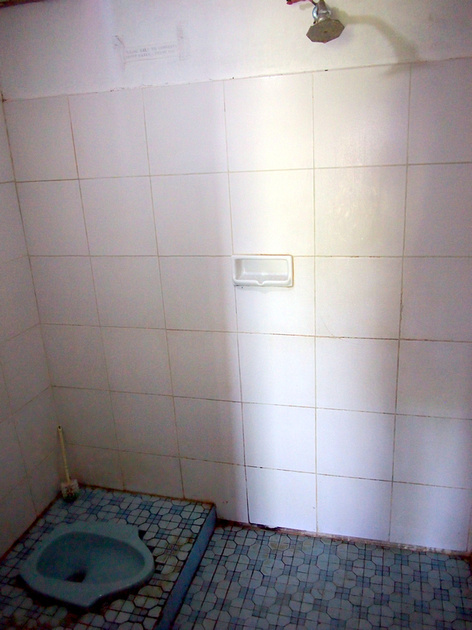 If having a squat toilet isn’t your thing then check out more hotels in Labuan Bajo at Agoda. Labuan Bajo is the most popular entry point to Flores, and here is my 1 week itinerary for Flores. 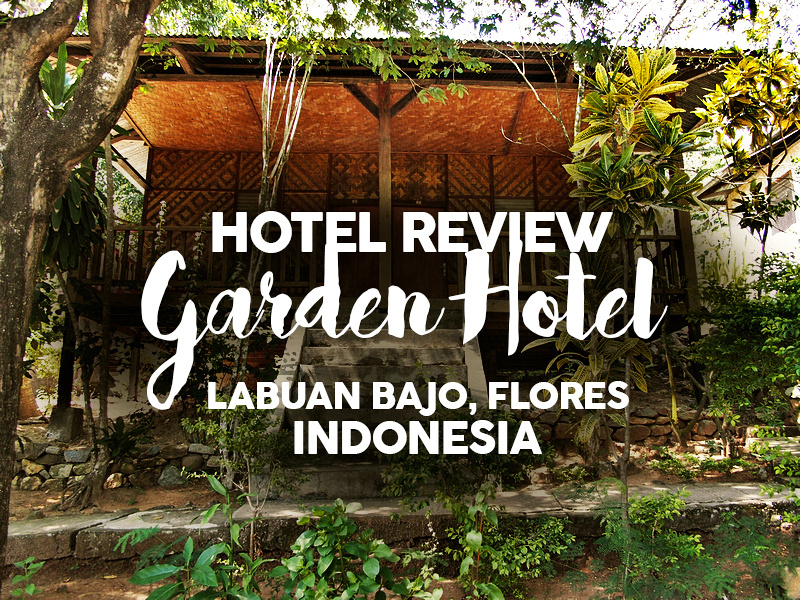 Stayed a few nights at Gardena Hotel in Labuan Bajo. The front desk man (Andy) stated that I did not check out the right way the night before and charged me an additional $320,000 upon leaving the hotel. When I politely said I was not in agreement, he began yelling at me in front of all the other guests at breakfast and threatened to have the police put me in jail unless I paid him the money right then and there. This hotel has shady business practices and I don’t recommend westerners stay at this hotel. Wow that sounds dodgy, good to know!